Do you use stinging nettle to strengthen your hair? If not, or you are wondering should you do it, the time for hesitation is over! Nettle benefits for hair are just too many to afford to miss them. Below I will summarize for you why is nettle so good for your hair. But there is one thing I like so much – it is easy to find stinging nettle. 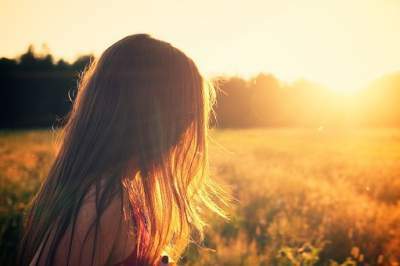 Especially in the spring and summer time, it is everywhere around us. You can harvest nettle leaves and dry them by yourself. Or if you feel uncomfortable with the inflammatory burning effect on the skin, you can purchase it at a very reasonable cost. In the next lines, I will share with you three amazing homemade recipes with stinging nettle (it has various names, as Urtica dioica is the scientific one) for hair growth. No doubt, stinging nettle, together with burdock plant are one of the most potent natural remedies for thinning hair. Their regular usage will keep your hair strong, long and healthy. Your hair loss will decrease, and will even wholly stop over time. Your strands will be sustainable and resistant to breaking. 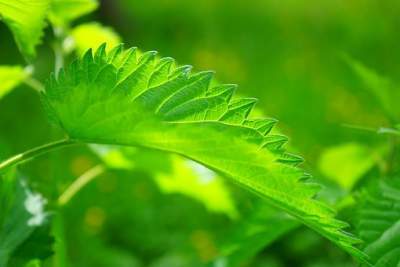 Why is nettle stimulating hair follicles? 1. Stinging nettle contains a lot of minerals and vitamins. To be more concrete – calcium, iron, manganese, potassium, vitamins C, A, B, K, and E.
2. It has proteins and fatty acids, like oleic and linoleic acid. They are essential, and your body cannot produce it. You have to find them from external sources, like stinging nettle. That’s huge! Now it’s clear why nettle fights hair loss, stimulates hair growth helps with dandruff, balances sebum production, while internal nettle tincture or tea intake leads to purifying your body. Knowing this information, let’s move to our next topic – how to benefit from these properties? Either you can use dried nettle prepared by you, or you can purchase it. What you need is 500 ml (17 fl oz) nettle infusion. 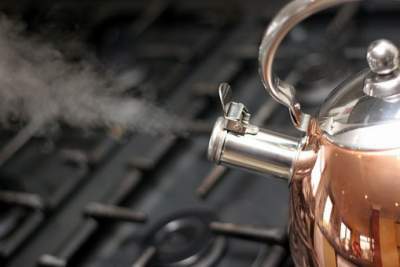 To infuse the water with nettle, you need 60 gr (2 oz) of dried nettle leaf. Or if you purchase it, you can follow the label instructions. To prepare the infusion, pour boiling water over the nettle and steep it for 5 hours. Strain it and add 15 drops iodine. Leave the mixture through the night. It will strengthen your hair and stop hair loss. You can apply this recipe once a month, as it tends to dry hair. You will need 50 gr (1.8 oz) nettle leaves, 50 gr (1.8 oz) burdock root, 400 ml (13.5 fl oz) water. Pour boiling water over the nettle and the burdock. Boil the blend for 10 minutes, and leave it to cool down naturally. Strain it and put in a container with a lid. Massage the roots of your hair once per day, typically before going to bed, without washing it away. The possible effect of this nettle hair tonic for thinning and falling hair will result in healthy, growing hair, as hair loss will be sharply reduced or will be left behind! You will need a handful of nettle roots that you can harvest yourself, or nettle root extract you can buy from the store. The other recipe component is 250 ml (8.5 fl oz) vodka. Pour the vodka over the roots, close the mixture in a container with a lid, and leave it for two weeks in a dark and cool place. Strain the nettle root tincture as it will be ready to be used. Two or three times a week massage your scalp with this blend. In a few months period, not only hair loss will decrease, but you can experience hair growth as a result of this treatment. Now you have the knowledge why is stinging nettle so potent and how to use it for your hair re-growth! If you prefer professional solutions, there are a lot of natural cosmetic products on the market with stinging nettle extract, burdock extract, and other valuable compounds that you can explore. Whatever approach you choose, just do it and don’t leave your hair without care. We shouldn’t miss the opportunities nature reveals us! I would love to hear from you! Do you (plan to) use stinging nettle? Leave me a comment, and I will answer you! Take action and take care! How to Improve Skin Elasticity Naturally? The Easy Way Revealed! Is Jojoba Oil Comedogenic and Anti-Acne? Is Shea Butter Comedogenic? So What? Is Vitamin E Good for Skin? 1 Answer and 10 Facts! Valeria on What is Paullinia Cupana? How to Use It for Your skin? Valeria on 11 Unusual Sesame Seed Oil Benefits for Skin! Valeria on Is Sesame Oil Comedogenic? 7 Reasons to Use it! Pernilla on What is Paullinia Cupana? How to Use It for Your skin? Pernilla on 11 Unusual Sesame Seed Oil Benefits for Skin!